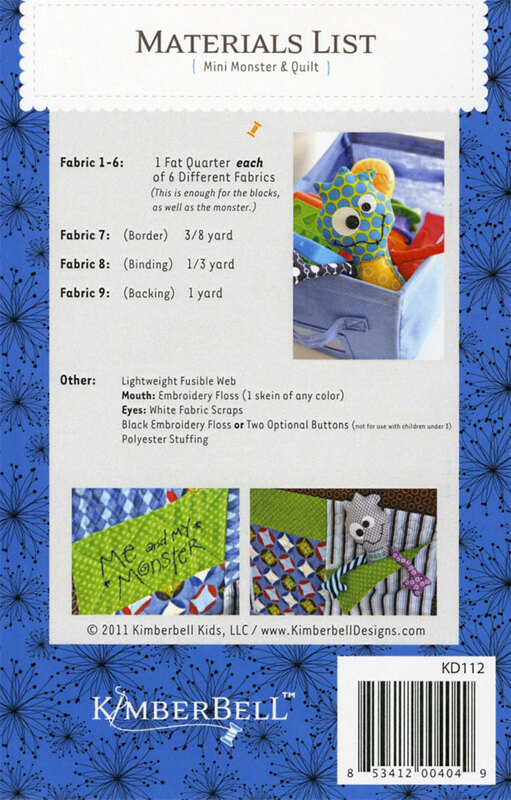 Mini Monster & Quilt sewing pattern from KimberBell Designs. Finished size: Approx. 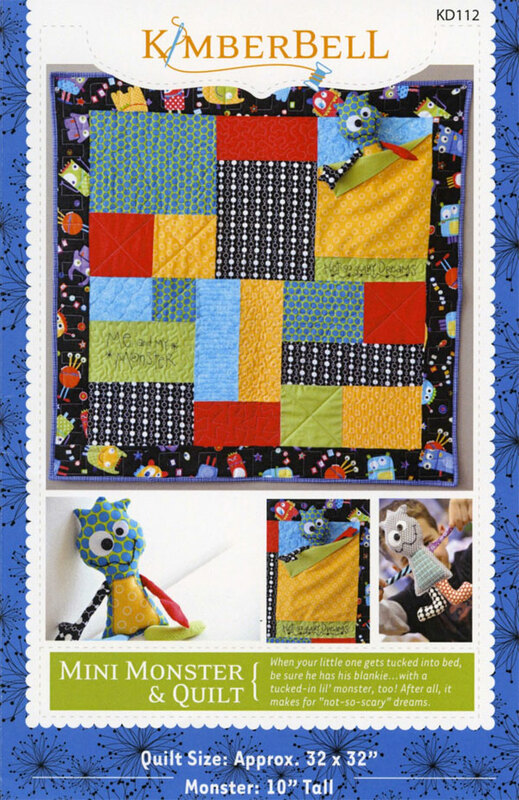 32in x 32in & Monster: 10in tall.